Coming into first quarter of 2013! OMG!! So Fast! And I wanna go shopping! nothing much related to March though. Spotted some nice pieces recently. Imma make a wishlist. Hmm... here are some of my mix and match idea. This is so much fun. So what is your style of the month? 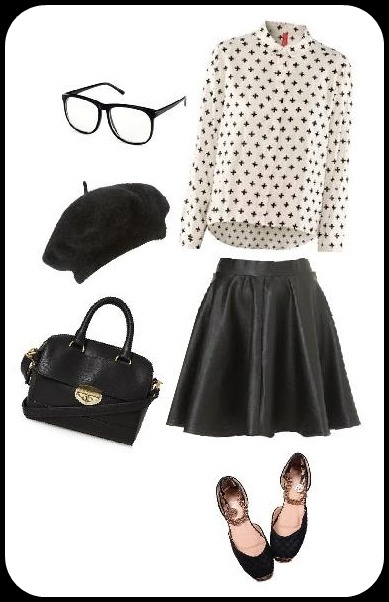 Got any idea for your look? You can check out the lastest trend in Clothia. There are so much inspirations in there, and what make Clothia more awesome is that each item you see in the site has link to where you can get the item. So get inspired, style up, decide and shop! All in one shot! Save much hassle right? And here is something else. Check out Fashion Fast Forward (F3). You can find a lot of items from the brand(s) you love. As for me, I can get so many Topshop pieces in there. For those who are not familiar with F3, here is a little bit about how to be their member and the benefits becoming their member. >> 10% shopping discount on regular priced items at any Topshop, Topman, Miss Selfridge and Dorothy Perkins stores in Malaysia and Singapore. Log in today at Fashion Fast Forward!! And here is a good news for F3 members. 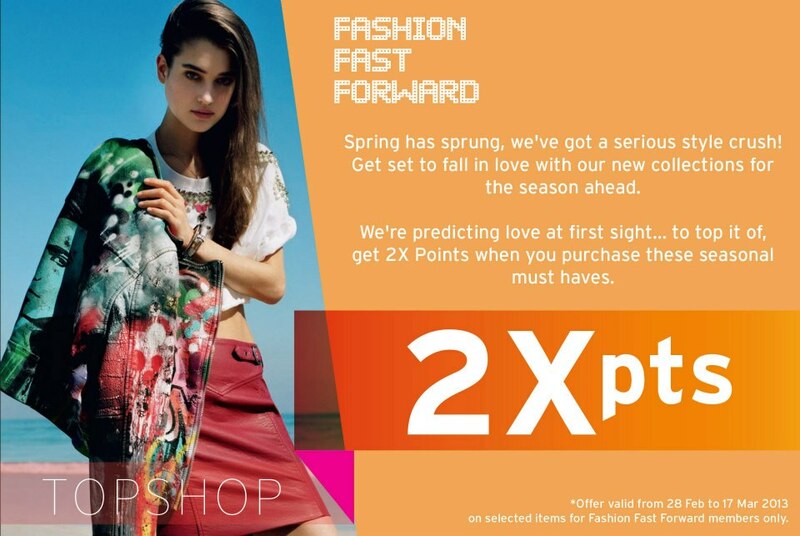 You can receive 2X F3 points when you purchase selected items at Topshop Malaysia. Hurry! The deal is available between 28 Feb - 17 March 2013!